early spring. Passion Catchfly likes to be planted in full sun. Use this plant in a perennial garden, cottage garden, container, border, or massed in a landscape bed. 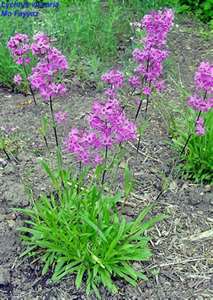 Passion Catchfly attracts butterflies and is drought tolerant once it is established. It also makes an excellent cut flower. This is a Heritage Perennials Top 10 Perennial for 2006.